frost lengthens on a window. steeple darkening the blue sky. just two spots of color in this monochromatic universe, nice picture! I agree with Claire. I like contrast among the red of the cap and the jackets blacken. Wel, this sure brings back memories. A nice shot of him getting set up to fish. 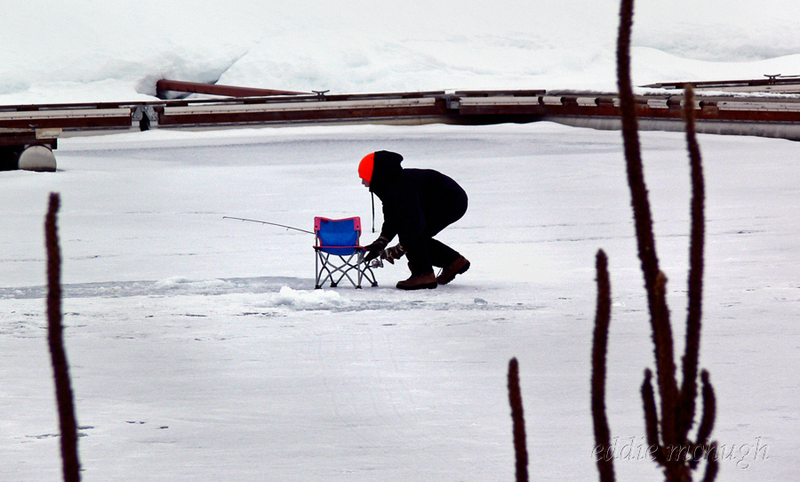 I hope he caught something and that someone brought him hot chocolate.